A huge poolside mosaic was unearthed recently in a farmer’s field in the city of Antiochia ad Cragum South of Turkey by a team of scholars lead by Michael Hoff of the University of Nebraska. The team has been looking for archaeological evidence of the ancient city founded by Antiochis of Commagene during the 1st century and this mosaic is probably the largest to be discovered and may change history as we know it as it puts forward the importance and the impact of the Roman Empire in the region during the 3rd and 4th centuries A.D. It is so large, in fact, that the team working on it has only uncovered an estimated 40%. It is expected to unearth the entire work next summer. Covering 149m2 with square panels representing diverse colored symmetrical designs and adornment, the mosaic is in surprisingly excellent condition. The center of the piece was outfitted with an 8m marble-lined pool, which would have been exposed to the sun. The rest of the mosaic, next to the bath, has yet to be discovered but is anticipated to have the same style of decoration. The mosaic is a major element of the Roman Empire design and shows how Roman this city really is. Professor Hoff said that Antiochia ad Cragum was a modest city by Roman criterion and looked like a traditional Roman provincial city with and economy focused on agricultural products. 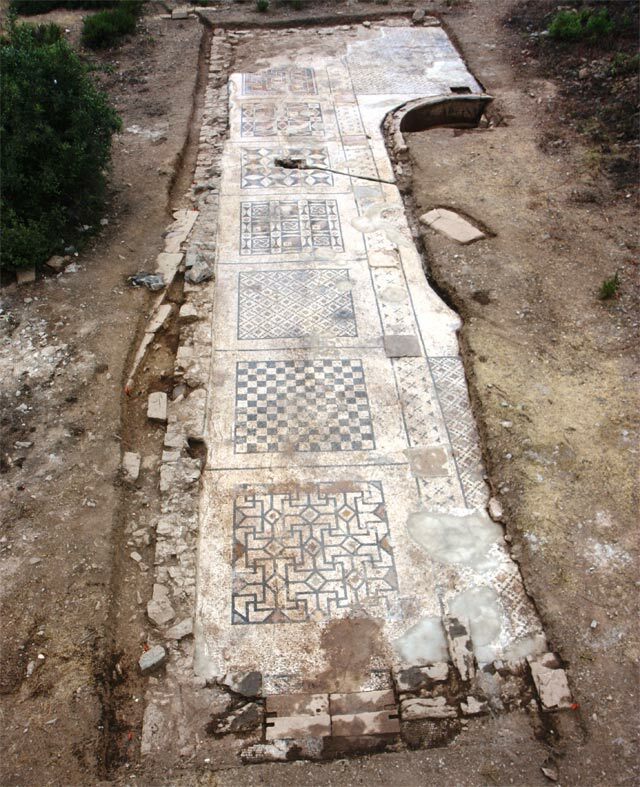 Nicolas Rauh of Purdue University remarked the mosaic in 2001, when a resident farmer cultivating had unearthed some pieces in a field next to a bath edifice. The archeological museum in Alanya made a small examination 2 years later that exposed a slight portion of the mosaic. In 2011, Hoff was invited to reveal the rest and save it tourists to see and specialists to study.